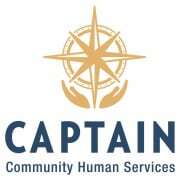 CAPTAIN Community Human Services is looking for volunteers to assist with its Homework Help program at Cheryl's Lodge in Clifton Park. The program runs from 2:30-3:45 every M-Th when school is in session. Orientation and training are provided. Your schedule can be flexible; you can volunteer once a week or more often. We appreciate any time you can give. Volunteers provide guidance to elementary students to help them complete homework assignments. The Homework Help program is a critical support program for low-income children in the Halfmoon and Clifton Park community. Early intervention programs keep children successfully connected to school and are imperative to setting a foundation for future growth, instilling a love of learning, and helping youth successfully transition into adulthood. If you are interested please email Ava ava@captaincares.org call 518-399-4624 or visit our website at https://captaincares.org to download a Volunteer Application.